Home/ Love streaming shows and movies? These sites let you do it, legally! With its headquarters located in Switzerland, Viewster aims to allow users to view and stream their favourite TV shows and movies till their heart’s content with this free, Video-on-demand service. The site offers a wide selection of anime, web shorts, movies and TV series from all around the world, ensuring that you will never be left without something to watch. This revolutionary streaming site allows you to stream without any signup required, on desktop, console and through their mobile app. All the content found on Viewster is completely legal to stream, since the owners have paid a license fee for each one of them, although the content of the site/app can vary from country to country. SnagFilms is another fantastic streaming site, offering over 5,000 free movies and TV shows, including some of the most popular from all around the world. However, this site does specialise in new and older indie films, featuring a wide range of almost any film or TV series in this genre you could ever dream of. Overall, SnagFilms is a fantastic streaming site for you to be able to catch up on all your film and documentary needs, without the hassle of having to spend hours looking through your film cupboard at home to find them. Cartoon Network is an esteemed television network, primarily across America and Britain, offering a wide selection of exciting cartoon TV shows and movies. The site features all the brand-new characters and shows, as well as all your old favourites, including shows such as Tom and Jerry, meaning that even older viewers can visit Cartoon Network to enjoy a trip down memory lane. 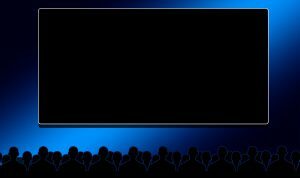 Popcornflix is a fantastic streaming site that is owned by Screen Media Ventures. Although it does contain ads, this site offers a wide range of 1000’s of movies and TV series, even offering some of the best and latest blockbuster movies, all for free! Not only does this site offer all your favourite big-name movies and TV series, it also features a lot of Popcornflix own and exclusive content for you to enjoy. 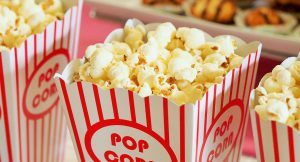 Although Popcornflix is completely legal to stream on and use, do not confuse it with the extremely popular “Popcorn Time” site which arguably illegally streams its films and TV series.